The launch of the Black Sea Incursion season has brought a new feature – the Contract Mission system where every player can earn additional rewards in various missions of increasing difficulty. In this article, we’ll take a look at the missions that are available and the rewards that await you. 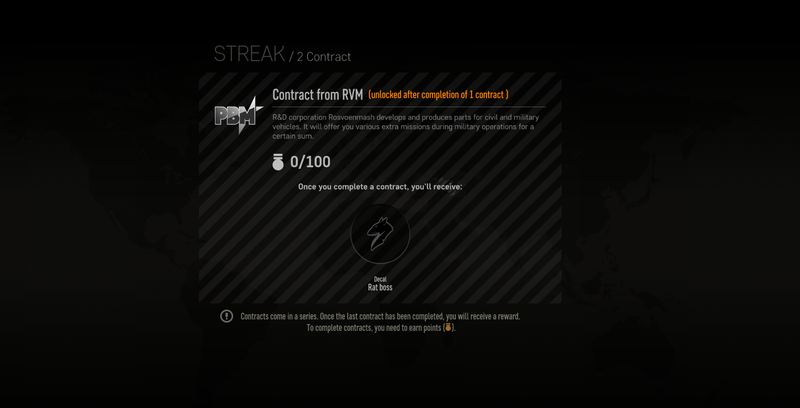 The Contract Mission campaign is a series of missions, separated into three stages of increasing difficulty with 19 to 24 missions available per stage. Random two missions from each stage’s pool are available each day (they reset every day at 2 AM CEST) and award players with stars. Once a certain amount of stars is obtained, the stage is completed. It’s also worth noting that, once per day, the available missions can be manually rerolled in case you want a different mission set. The first set of missions is offered by Chengdu Technology. In Armored Warfare, Chengdu Technology is a company that manufactures high-tech equipment for armored vehicles. With deep ties to the Chinese government, it offers lucrative contracts all over the planet in order to make the world a safer place to conduct business and expand its influence. 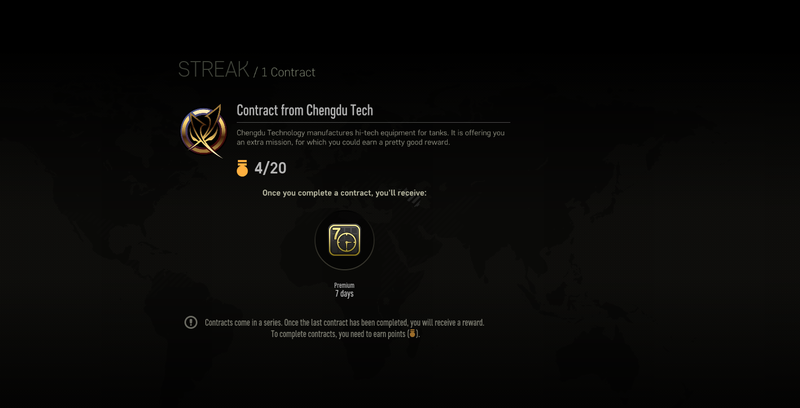 In order to complete the Chengdu Technology mission set, players have to obtain 20 stars. Completing the entire Chengdu stage is rewarded by 7 days of Premium time. The second set of missions is offered by RosVoenMash (RVM). RVM is a military research and development corporation based in Russia and is also involved in the production of parts for both military and civilian vehicles. In order to complete the RVM mission set, players have to obtain 100 stars. Completing the entire RVM stage is rewarded by a special Rat Boss decal. The third and final set of missions is offered by Lodestar. Lodestar GmbH is a major German logistics company, providing both its transportation capacities and its security forces to anyone willing to pay to have their goods moved safely. 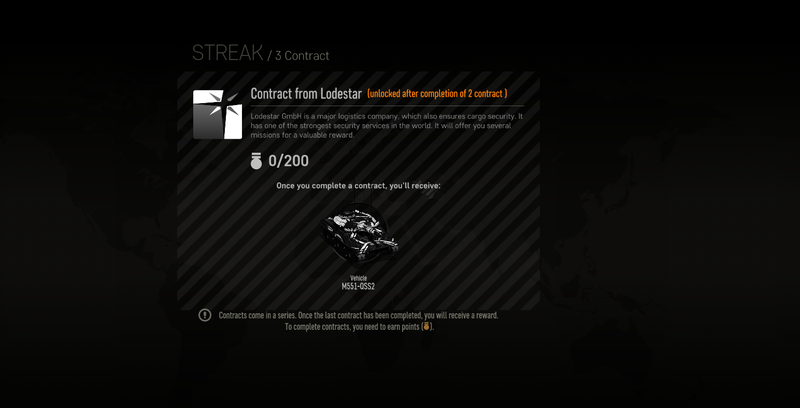 In order to complete the Lodestar mission set, players have to obtain 200 stars. The story of the American Sheridan Light Tank dates back to the late 1950s when a replacement was sought for the M41 Walker Bulldog. The result was the Sheridan – a rather unique vehicle that was armed incredibly heavily for its class. Its short 152mm gun-launcher was not only capable of firing devastating HE shells, but also of launching Shillelagh guided missiles, making it as deadly against tanks as it was against soft targets. At least that was the theory. In reality, the Sheridan was an unreliable and fragile vehicle that suffered heavy losses in the Vietnam War due to its thin aluminum armor. It was not well-liked by the U.S. Army but stayed in service until the early 1990s because there was simply nothing better available. 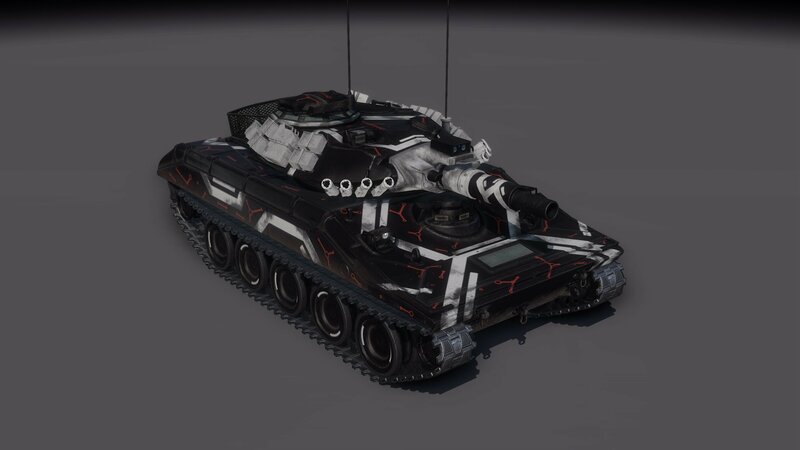 In Armored Warfare, the Tier 5 Sheridan is one of the deadliest vehicles in the game – it is quite fragile but its firepower is absolutely devastating. Previous Entry World of Tanks: Football Mode Returns!